Bruce Jenner’s highly-touted interview with Diane Sawyer aired Friday night, delivering not only the long awaited news that the former Olympian is transitioning to female — but also major star support on social media. 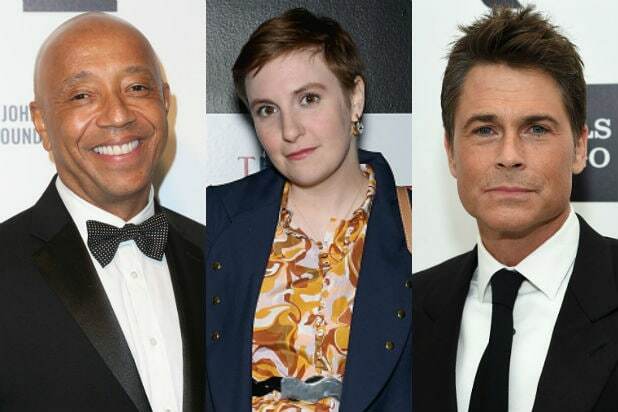 Rosie O’Donnell, Rob Lowe, Lady Gaga, Ellen DeGeneres, Russell Simmons and plenty more show business types spoke out about the sit-down, singing Jenner’s praises as a trailblazer and hero . “Bruce Jenner – An American hero yet again. You changed everything tonight. Thank you. #brave #authentic #beautiful,” wrote Debra Messing. Jenner’s stepchildren, the Kardashians, did not participate in the ABC News special but chimed in with support after the special aired. “Just finished watching the #BruceJennerInterview with the family. Bruzer, I’m soooo proud of you! Dads really are heros,” said Khloe Kardashian. “Couldn’t be a more proud daughter. With courage and bravery, let’s change the world. I am honored to stand by Bruce’s side and support him,” Kourtney Kardashian uploaded.